Like it or not, wine has become big business. 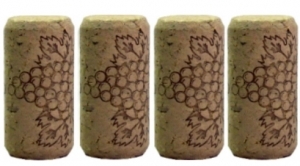 When a wine becomes popular, corporate America notices, and sees dollar signs. Familiar wine brands like Meiomi and The Prisoner are sold for hundreds of millions of dollars, and a common result is that bottle of your (formerly) favorite wine suddenly costs a lot more than you remember. That’s the niche where you’ll find Replica Wines. As they say on their website, “Most of your favorite wines are more expensive than they should be, because you’re paying for a fancy brand name instead of what’s inside the bottle.” Replica recreates the formulas of these well-known wine brands, and sells them for considerably less. But do they taste the same? I put that theory to the test. 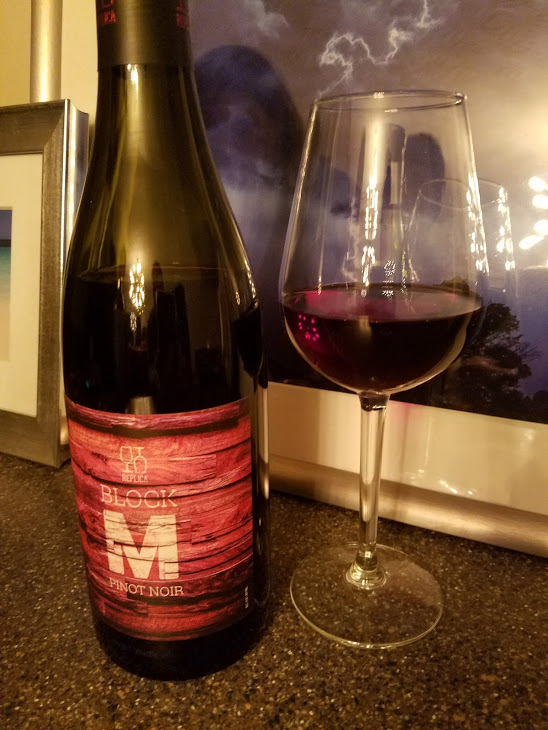 Block M Pinot Noir is an attempt to duplicate the flavor of Meiomi Pinot Noir, which is the best selling Pinot Noir in the world right now. Meiomi is on nearly every restaurant wine list, and even at Kroger fetches around $20 a bottle. I remember when Meiomi sold for $14, and sometimes less on sale. So how does Block M stack up? Favorably! Block M looks very similar in the glass, very dark for a Pinot Noir, and with similar flavors of plum and blackberry, with notes of mocha and spice, and a smooth finish. To be honest, however, I prefer the taste of Block M because it’s a bit crisper, and is spicier on the finish. On my five-cork scale based on taste and value, I give Block M Pinot Noir from Replica Wines 4 corks. It’s as good, if not better, than Meiomi, and for about $5 less per bottle at The Party Source.